You are here: Home / Anne Merchant Geissler / Should Live-In Nannies Have Curfews? Should Live-In Nannies Have Curfews? Live-in household employees should never stay out too late on week nights. Responsible nannies arrive home at a reasonable hour. When nannies stay out until one or two o’clock in the morning, parents worry about the quality of care provided for their children. Without proper rest child care providers tend to become impatient, slower to respond in emergencies, less interactive with children, and may become a safety hazard to children. Nannies must avoid situations that alter good judgment and reduce their ability to be responsible caregivers. Being home early indicates to the employers that you posses good judgment, take your work responsibilities seriously, and care about your interpersonal relationships with the parents. A nanny’s position should not be so cumbersome as to leave no time for a social life. Everyone needs balance in their life and without it, will not function effectively. Employers who do not recognize this should be avoided. After considering all of those factors it is important that you and the parents come up with a time you both feel comfortable with if you are to have a successful working relationship. Excerpt from Be the Best Nanny Newsletter by Anne Merchant Geissler author of The Child Care Textbook 2007. « Should Parents Run Credit Checks on Nanny Candidates? Are you serious, adults need curfews? 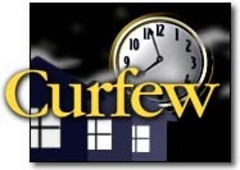 Nannies are adults and shouldn't need a curfew!